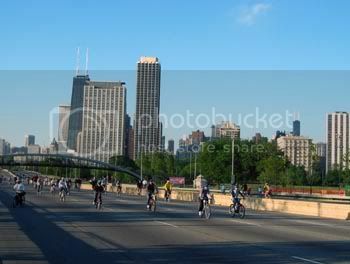 The Chicago Sun-Times is reporting that a Chicago bicyclist was critically injured at an intersection in Grant Park. The bicyclist was struck while riding eastbound on Balbo across Columbus Drive. The cab, which is reported to have had the right of way, was travelling northbound on Columbus Drive across Balbo. Sec. 11‑1502. Traffic laws apply to persons riding bicycles. Every person riding a bicycle upon a highway shall be granted all of the rights and shall be subject to all of the duties applicable to the driver of a vehicle by this Code, except as to special regulations in this Article XV and except as to those provisions of this Code which by their nature can have no application.